The exact vaccines that you are required to give your child depends on the country you are living in. 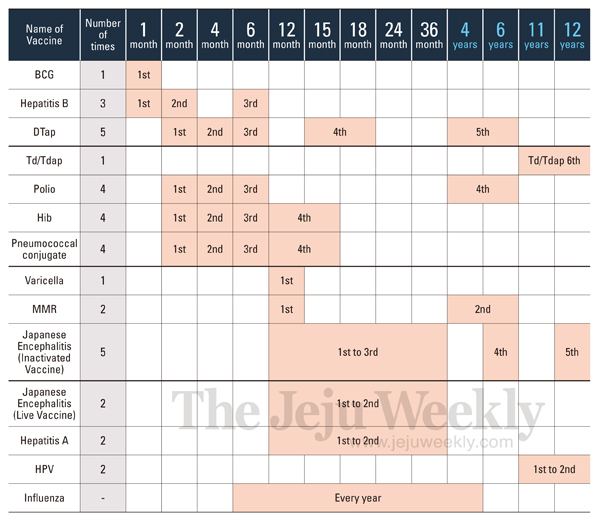 Here is the vaccination schedule that the Korean government asks parents to follow. Let’s see what they are. Who is required to have these vaccines? Children under 12 years old and foreigners who stay in Korea for more than three months. Ages on the table relate to international age. The above vaccines are provided for free.